Drawing on the teachings of D.W. Winnicott and John Bowlby, who helped revolutionize thinking about relational psychology, To Hold and Be Held integrates the concepts of the ‘holding environment’ and attachment theory and describes how they are applied in a clinical setting. It also uses metaphor to both derive meaning from the language of the therapeutic process and to apply that meaning within a systems framework to effect significant therapeutic change. As the number of children with complex problems increases and the facilities to treat and manage them decrease, schools are left with few resources to cope. Professionals such as teachers, psychologists, social workers, and counselors need a new framework in which to think about and advocate for services for these children. 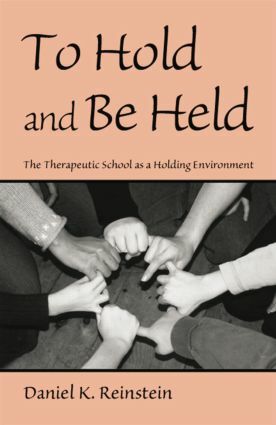 To Hold and Be Held describes the creation of a system of working that not only holds the child and his family, but also holds the larger system as well – a system in which therapeutic services are integrated at all levels and implemented in public schools in a way that supports all those involved. This is not only a unique and successful way of working with children and their families, but a timely one as well.